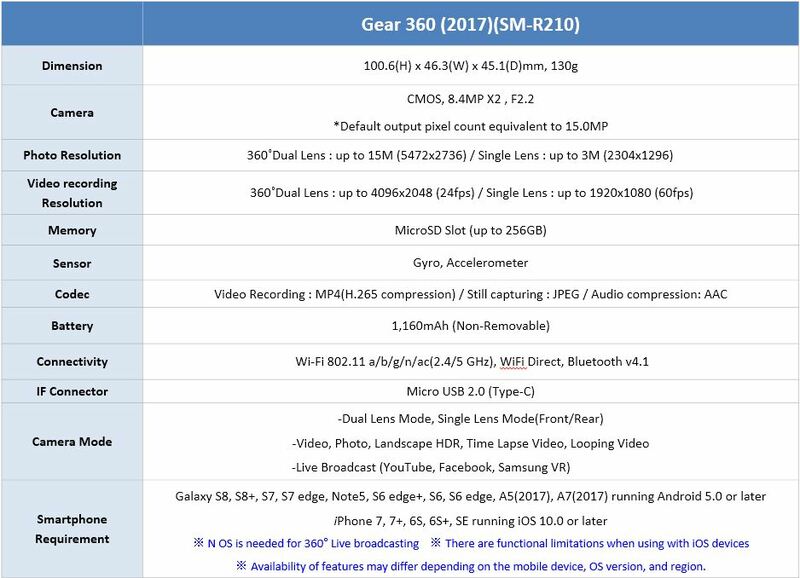 What are the main specifications of the Gear 360 (2017) ? How to use Bluetooth on the Gear2? How to connect using Bluetooth?